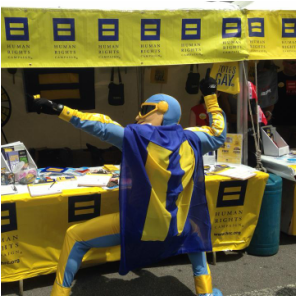 HRC needs you to be a part of our efforts in support of LGBT equality. No experience is necessary – new and experienced volunteers are both welcome to help work our festival booths and walk in the parade! For more information on Membership Outreach, please reach out to hrcpridechicago@gmail.com.